← Program Feature: Phonological What? We are excited to share with you our second annual holiday gift guide! Last winter, we shared gifts for preschool-age children to inspire their imaginations and creativity. This year, we are tailoring our gift guide for toddlers aged one to three years old. At this age, the two most important things we can do for our children’s development is engage them in reading and two-way conversation about anything and everything. In the gift guide below you will find ten gift options in five different categories to inspire your toddler’s oral language development and sense of creativity. We’ve included links so you can purchase the items directly from Amazon – online shopping made easy! 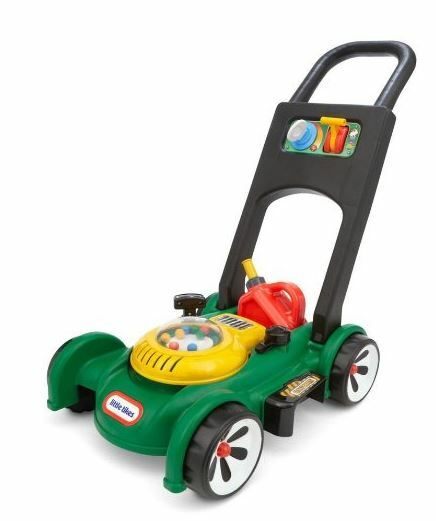 Did you miss last year’s gift guide but need to do some holiday shopping for the preschooler in your life? Blocks are quite possibly the most versatile and purposeful of childhood toys on the market. Block play stimulates learning in all domains of development: intellectual, physical, social-emotional and language. Children in infancy can begin playing with stacking cups and in time begin to use blocks of all varieties: soft plastic cube blocks, cardboard blocks, foam blocks, bristle blocks, wooden blocks and more. Blocks grow with children. At first, young toddlers will love to push a block tower over again and again. Then they will begin to stack the blocks on their own and eventually they will begin creating structures used for purposeful play like castles, roadways, grocery stores and more. 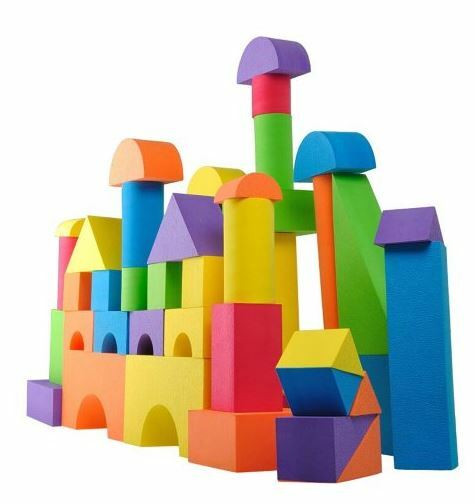 Fabulous additions for block play can be found in the play and story section of this gift guide, like plastic animals. Add them to your child’s block baskets and work with your toddler to create a zoo, a pet shop or a farm! Blocks are a wise gift investment as they will provide enjoyment and learning for your toddler for many years to come. Wooden puzzles with knobs for tiny hands to hold are also a “must-have” for toddlers. Puzzles help children develop problem solving skills as they learn to match the pieces to the cutouts, practice fine motor skills as they learn to hold the pieces and rotate them to fit in the board and even assist in developing emotional skills as children practice patience in completing the puzzles. Imaginative play is crucial to a child’s overall development. Early childhood theorist Lev Vgotsky once said, “In play, a child always behaves beyond his average age, above his daily behavior. In play it is as though he were a head taller than himself.” For a toddler, the opportunity to play with child-size replicas of household items is essential to their development and perception of self, their understanding of the world, and their ability to grow socially in interacting with their peers. When children participate in imaginative play, they are naturally exercising their ability to be innovative. Providing materials for your children to use to engage in this kind of play at home is essential. It is fascinating to watch a child engage in imaginative play independently, but their play is elevated when an adult plays with them. So, sit down and enjoy creating a make-believe meal in your child’s new kitchen or grab a tambourine and be a back-up musician in your child’s make-believe band! According to the National Institute of Education’s Commission on Reading, “The single most important activity for building the knowledge required for eventual success in reading is reading aloud to children.” Reading aloud to children should happen as often as possible, multiple times a day if a parent or caregiver is able. Not only does reading a book to a child develop their vocabulary, oral language and schema, it also offers a unique bonding experience between parent and child. Pull your child onto your lap, pick up your favorite book, and read the story aloud. Soon your toddler will say to you, “Read it again! Read it again!” Early exposure to great literature allows children to view books as a treat and an indulgence rather than a chore. For very young children, look for books with repetitive text like “Brown Bear, Brown Bear What Do You See?” When shopping for books for toddlers, search for books with limited text as too many words on a page is overwhelming to a child and they may lose interest quickly. 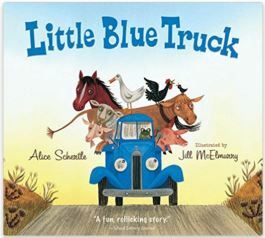 Also peruse your bookstore for books that have bright, clear illustrations and interactive text. “From Head to Toe” provides an excellent example of interactive text. First, the reader demonstrates the action, then the toddler does. Involving children in the reading process helps them internalize the vocabulary and make the read aloud experience even more enjoyable! If you asked a toddler if they would rather be indoors or outdoors, their response would most likely be out. Children love the opportunity to be outside under any circumstance – even in the pouring rain if it means they can jump in puddles and get messy! Play releases energy and develops children’s fine and gross motor coordination. An outdoor learning environment also provides multiple opportunities for active, imaginative play and conversations about the multitude of new experiences. Provide your toddlers with a few of the gifts below and watch their play elevate and their oral language explode! 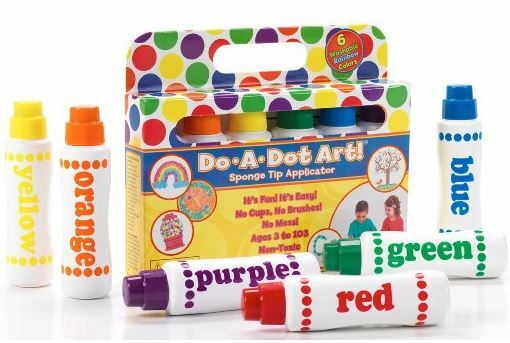 This entry was posted in gift guide and tagged active play, art, blocks, books, dramatic play, gift guide, holidays, outdoor play, play, process art, puzzles. Bookmark the permalink.